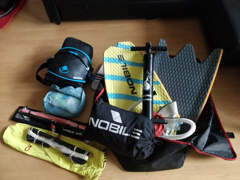 A custom built, ultra lightweight, complete kitesurfing gear set. Travel lightweight, go further, easier! 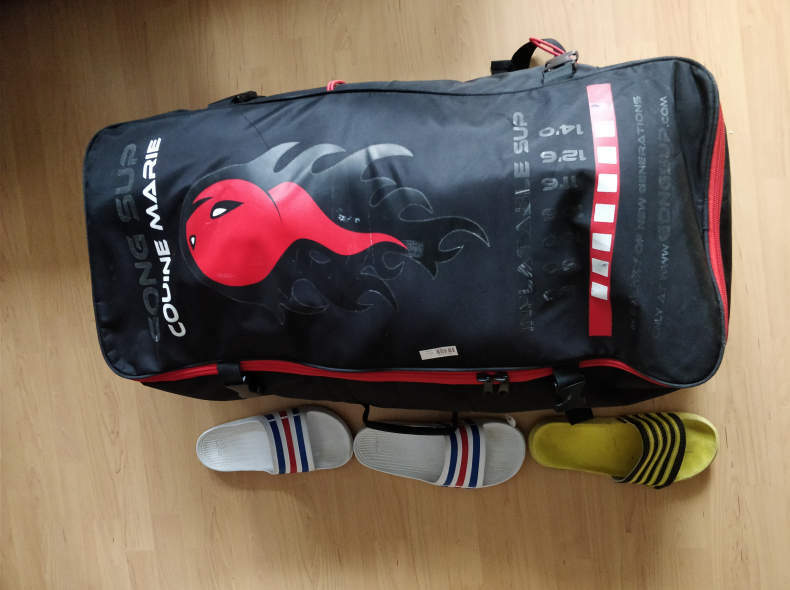 Bag is 95cm X 45cm X 30 (GONG inflatable SUP backpack) makes getting around on foot super easy! 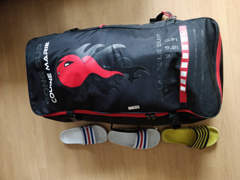 Bag weight with above items 12kg. See my other listings for more kite gear.